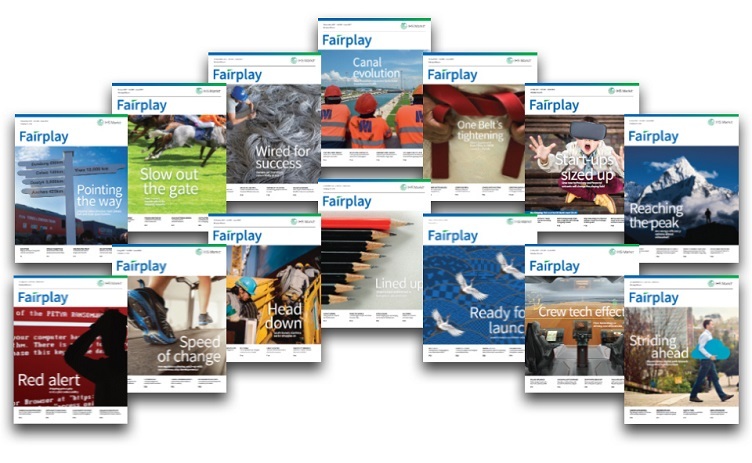 Fairplay magazine and Fairplay.ihs.com will cease publication in the last quarter of 2018, following a reorganisation of business information provider IHS Markit’s maritime media unit. The flagship maritime title, which targets a shipowner and ship manager audience, has been in publication since 1883. The restructured business unit will be organised around sister brands Safety at Sea and Dredging and Port Construction. According to Stuart Strachan, senior vice-president, Maritime and Trade, at IHS Markit, despite great improvement in the editorial product in the past three years, a very competitive market and the challenges of print as a medium were behind the decision to close Fairplay. The final edition of Fairplay will be published on 6 December. Online publication will cease in the last week of November.